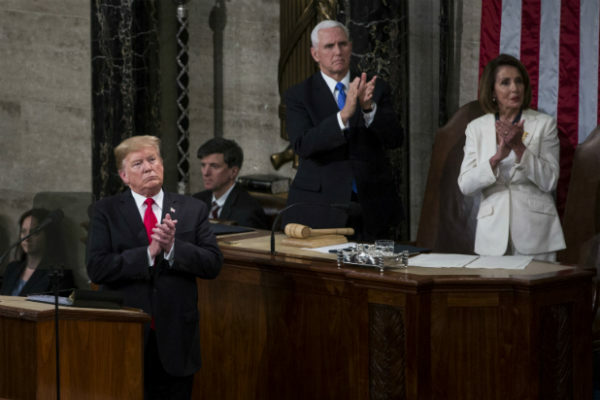 The president’s address to Congress is up by about 10 percent versus 2018 in preliminary figures. Imagine the progress that DJT could achieve if he did not have to endure the democratic onslaught. He wants to bring troops home. Look at what carnage has been inflicted on all of the European Union by open boarders. Look at the wasted lives fighting wars to bring democracy to countries that will never embrace the concept. Look at the factories producing cars clothes major appliances in China and Mexico. What oes the US get in return gangsters drugs endless drug ods from fent.